Box machines can last 30 years or more but control systems are typically obsolete in 7 years. An IMC Box Pacesetter 3.0 set-up control upgrade will get you all the benefits of the latest computerized set-up control without having to buy a new machine and at a fraction of the price that an OEM upgrade costs. Compared to the cost of a new press you can add a Pacesetter for pennies on the dollar. 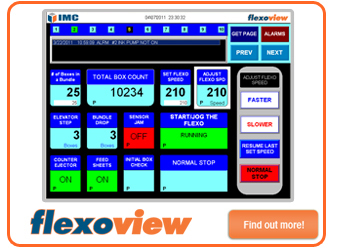 IMC Box should be your first choice in productivity improvement. Other productivity enhancing equipment such as pre-feeders, palletizers or lead edge feeders perform only when the machine is running. 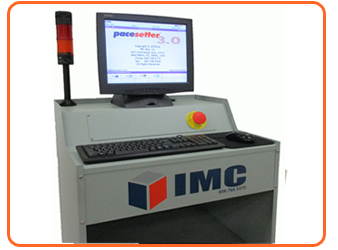 Pacesetter 3.0 makes your entire converting line more efficient by greatly increasing your available running time.